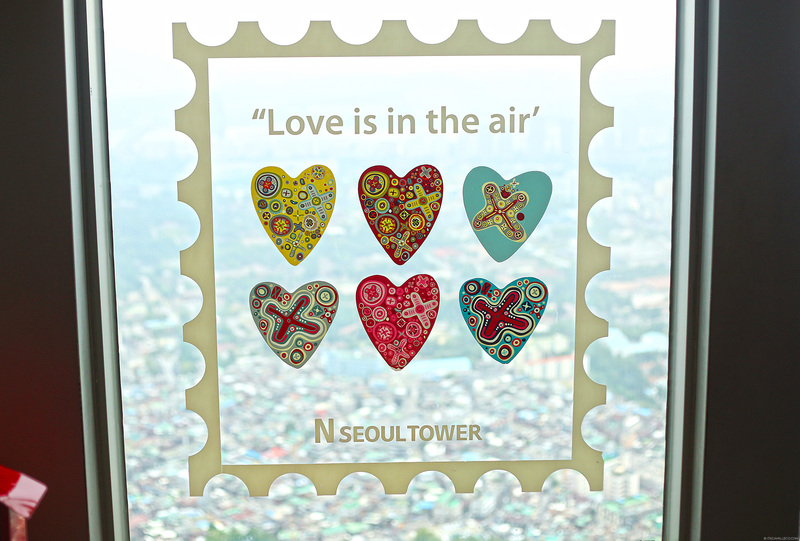 Seoul Tower or Namsan Tower is one of Seoul, Korea’s most famous landmarks. 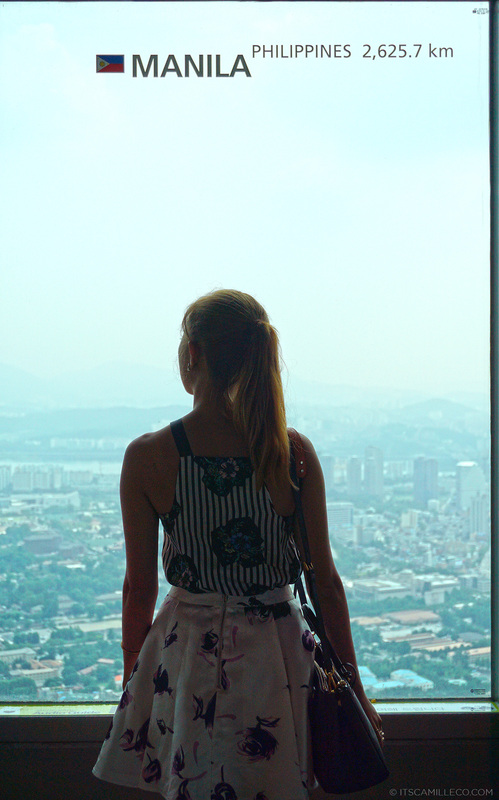 This 777 feet tall communication and observation tower sits atop Namsan Mountain and marks the city’s highest point. 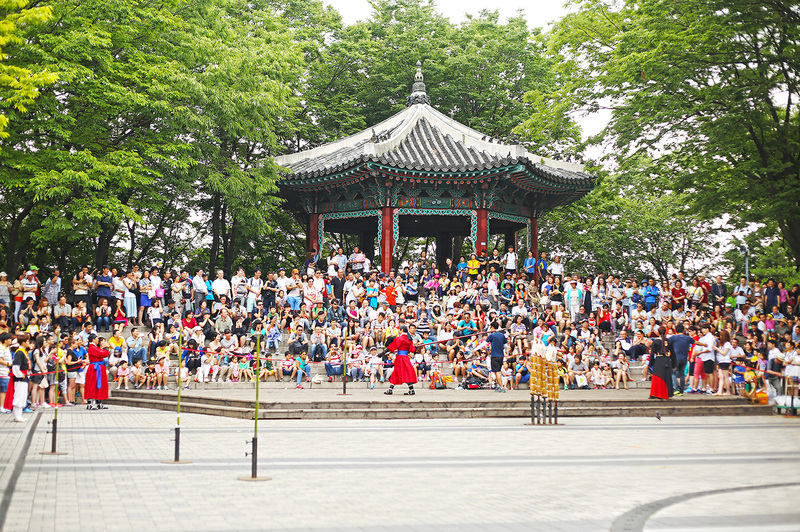 It’s the perfect place to bid Seoul goodbye, don’t you think? 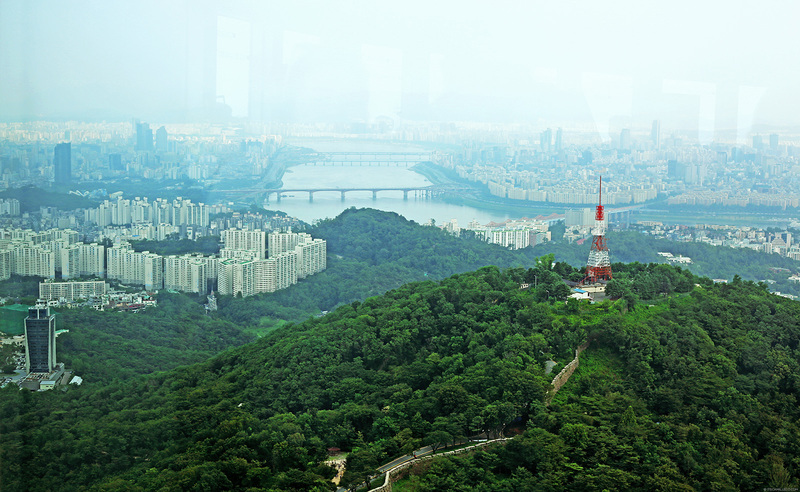 You can reach the Seoul Tower in various ways–by car, bus, subway and even cable car. Since the tower is located on top of the mountain, you’ll find plenty of greens and pretty flowers along the way. 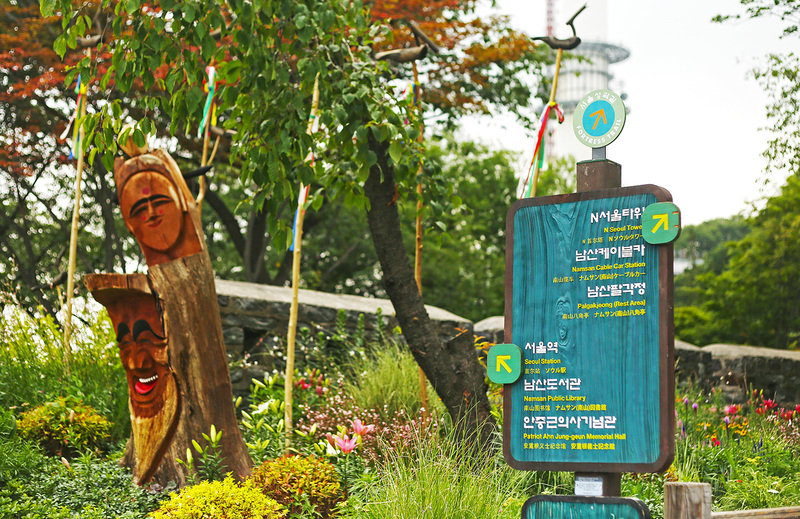 There are so many things you can do here too since the Namsan Park and Namsangol Hanok Village are close by. 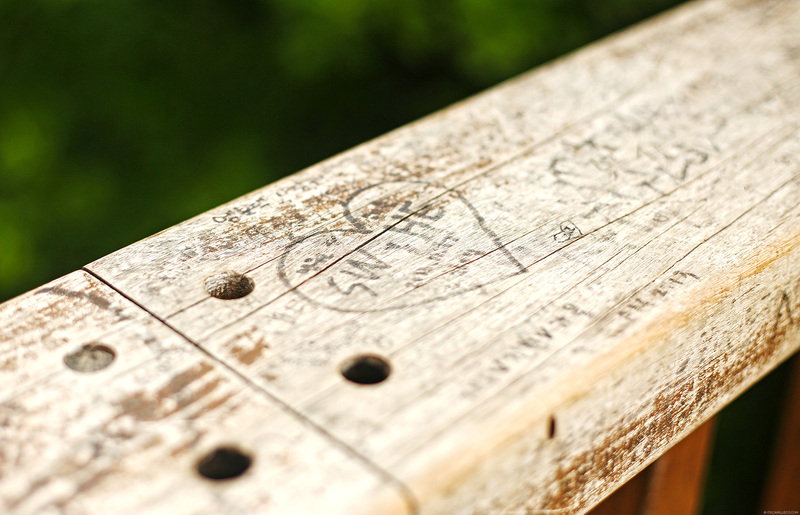 While making our way to the tower, I found these romantic, lovey-dovey carvings on a ledge. It seems like the tower is a favorite destination among couples! You’ll see more professions of love below! There are a lot of things going on around Seoul Tower like this presentation we chanced upon before going inside the tower. There was a bunch of men and women in traditional Korean costumes doing some sort of demo. I wish we got to catch the show! 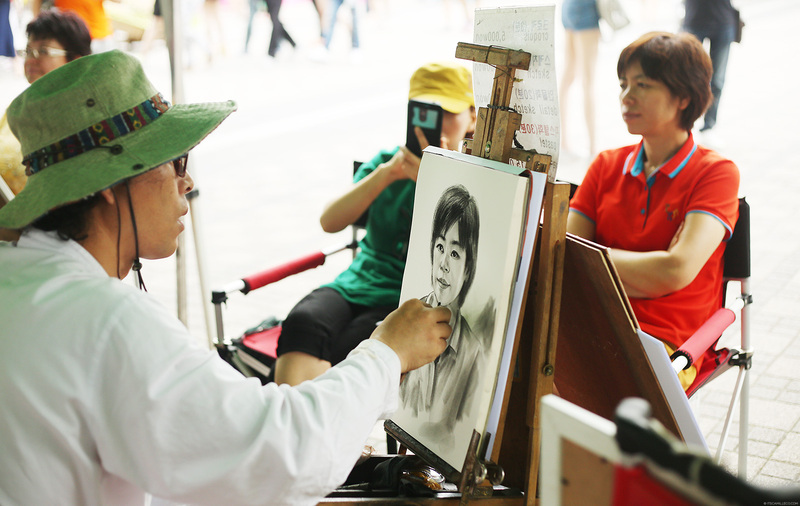 Just a few steps away from the show, a group of artists set up a place to showcase their drawing skills. I went behind one of them and got a sneak peek of his drawing. So far, so good! If only we had more time, I’d ask one of the artists to draw me in my floral print-on-print number. 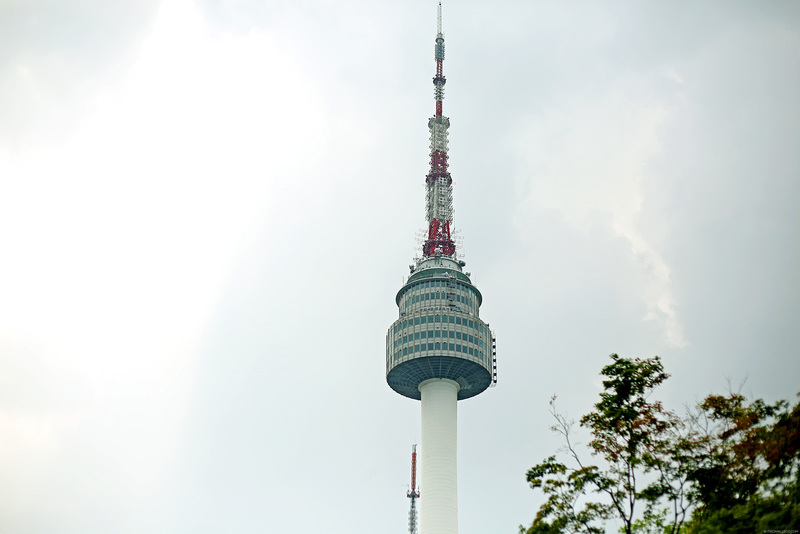 This is the tip of the Seoul Tower. At night, the entire tower becomes some sort of a light art with its exterior illuminated by colorful LED lights. That must be quite a sight! Once inside the tower’s observatory deck. 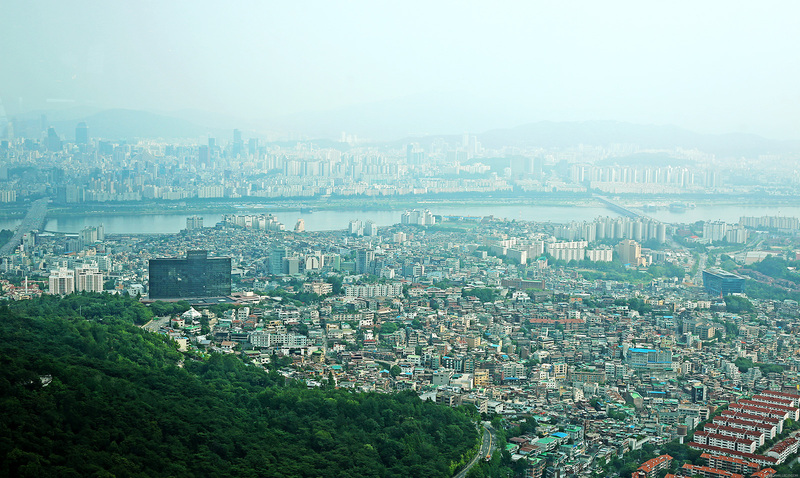 you’ll get to see a panoramic view of the city of Seoul. You can even send letters and post cards from the tower to your loved ones! Love is truly in the air here! 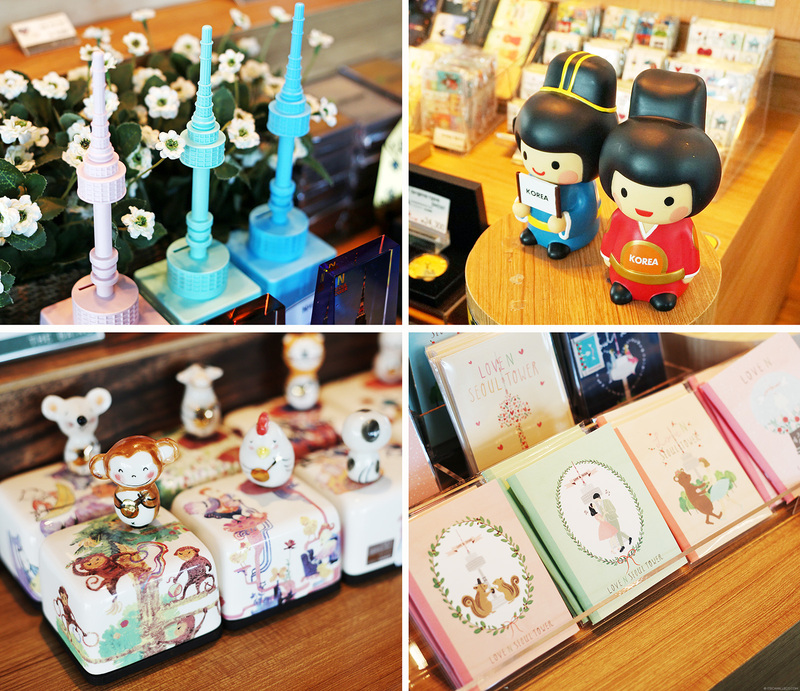 Korea’s got the cutest souvenirs! These are just some of the things I found at the tower’s gift shop. So close yet so far. From this window, I’m standing exactly 2,625.7 km away from Manila, my hometown. I told you there are a lot of professions of love here in the tower. I’m guessing these are couples who spent sweet moments in the tower. They left photos and dedications to commemorate their trip. Spot the proposal! Another familiar sight for those of you who watch K-dramas. 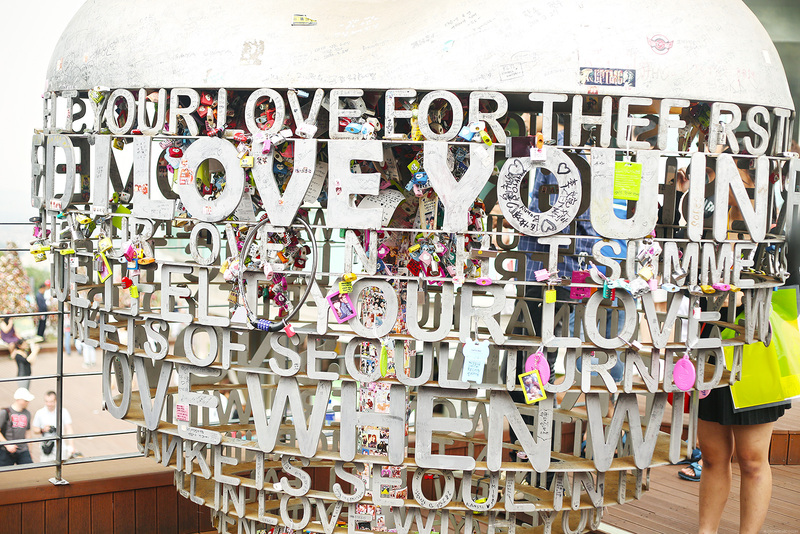 This area is called “Locks of Love” located at the Seoul Tower’s roof terrace. 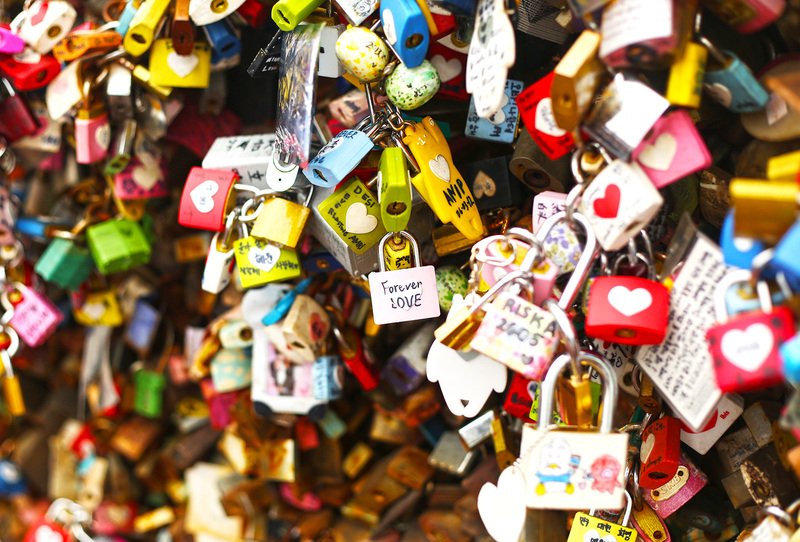 It reminds me of Paris’ bridge full of love locks, except these locks are cuter and more colorful. Even this bench wasn’t able to escape those lovers. It’s full of carvings and writings professing love! 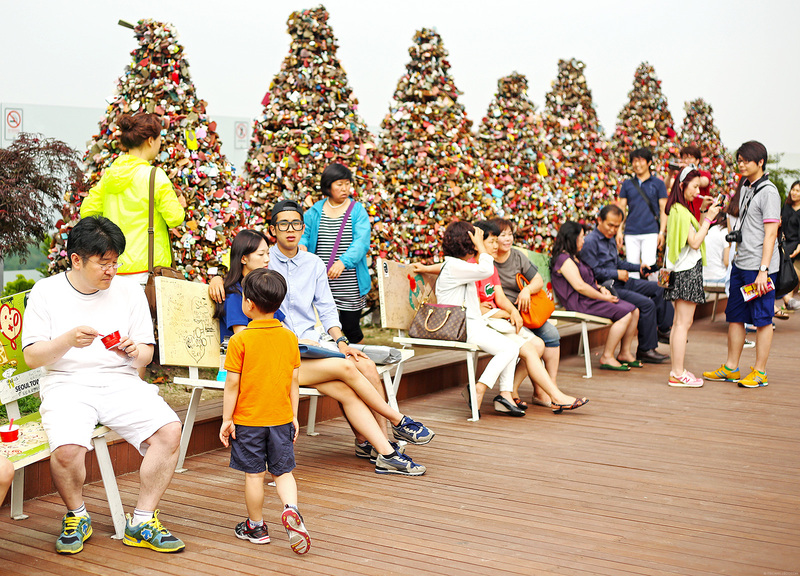 There are love padlock trees too! So much love in the world! Just looking at these padlocks makes me smile. Who knew a tower like this can tell so many love stories? Special thanks to AirAsia and Korea Tourism Office for arranging this trip . Thanks Grace! :) Kore is daebak! I love that skirt!! Stunning!! Thanks Katrin! I’m sure you and your bf will love this! the souverniers sure are really cute! And they have little messages on them too! Your pictures are amazing, loved the Tower! Korea can make anything cute! Great photos. And this floral combination is stunning. I think my favorite look on you ever! Visit my blog tomorrow! You might just win a trip to Korea! Dya wear a makeup? It’s just that you look fresh and carefree in those photos. What are you using? Please share. Was it Revlon Photoready makeups??? Let us share love indeed! It took me quite a while to find the “proposal photo” even if it was emblazoned with the word “propose” and in bright violet! LOL. I really love how you do print on print Cams! And your gladiator shoes! Buti pa yung white and black gladiator sandals mo kung saan saan na nakapunta. Hahaha. LOL! Kitang kita naman yung “PROPOSE”! :) Thanks Anne!